Create a personalised desk space with the First range of desk screens. 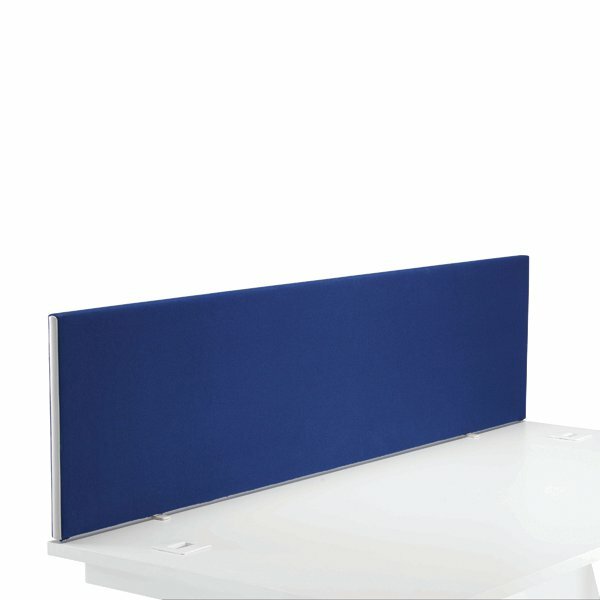 Ideal for adding privacy to your workstation, or accessorising using a toolrail and a range of fitments. Completed with a high-quality royal blue finish, this desk mounted screen comes supplied with desk clamps for suitable installation. Dimensions: W1600 x H400mm.